ARandR is designed to provide a simple visual front end for XRandR 1.2/1.3. 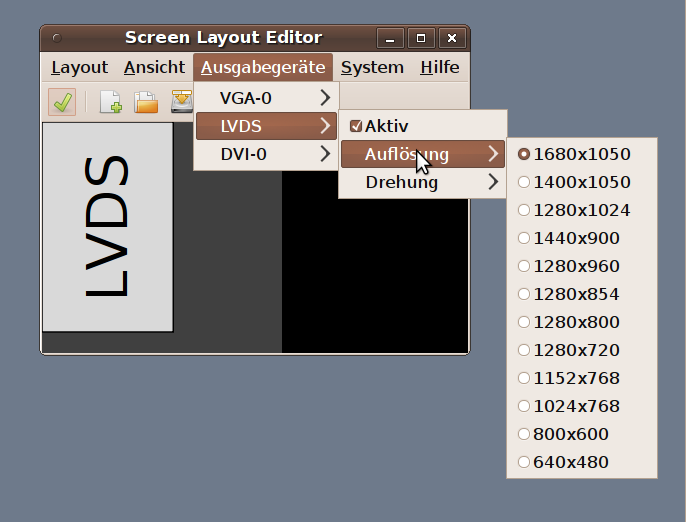 Relative monitor positions are shown graphically and can be changed in a drag-and-drop way. o Saved configurations can be bound to arbitrary keys via metacity's custom commands. Linux just keeps getting better and better each day!